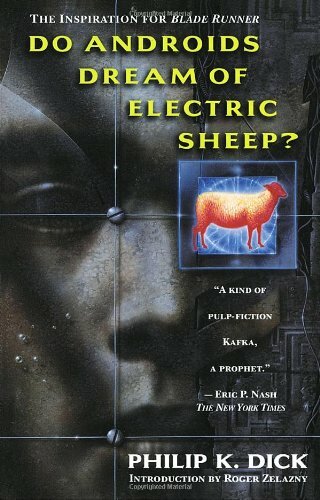 What's the Difference between Do Androids Dream of Electric Sheep the Book and Blade Runner the Movie? Rick works as a cop/bounty hunter. Rick has retired from active duty, but is now working freelance as a bounty hunter. Rick is married. He is not. Rick has a pen on his roof that holds his electric artificial sheep. Rick has no sheep. J.R. Isodore is a mentally challenged driver for a robotic repair service for electronic pets. Isodore is a bright and socially awkward technician in the Replicant industry. Androids are referred to as 'andys'. They are called replicants.